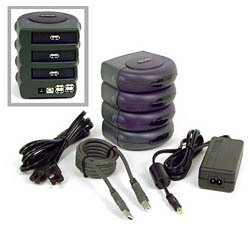 OS/2 and USB Web Site: USB Hubs. USB Hubs should work without any major problem under OS/2, by installing the latest IBM Basic USB drivers for OS/2. There are also Monitors, and Keyboards that comes with USB hubs included, they should work also without any problem. Comments This device was tested by OS/2 CHL hardware testing team and has been found compatible with eCS 1.1's integrated IBM USB device drivers and with IBM's latest official base USB DD. Comments This device was tested thoroughly by OS/2 Compatible Hardware List and has been found fully functional with MCP2's integrated USB drivers, and IBM's latest USB device drivers. Comments This device works well under OS/2 according to what Wolfgang told us. Comments OS/2 CHL hardware testing team has tested this device successfully on MCP2, ACP2, eCS 1.1 and with IBM's latest base USB device drivers. Comments This device is fully supported and backed by IBM technical support. The 5 ports work fine like a USB Hub. Both PS/2 ports work fine too. This IBM USB Hub has 5 USB, 2 PS/2, 1 parallel and 1 serial port. Comments Mike Maksimik told us that this USB hub works perfectly under OS/2. The hub has indicator lights to show if a device is active, there are 4 USB Ports, and one USB uplink. It has an external power supply, which will supply higher-power requiring devices. Comments Michael Kless told us that this device works fine under eComStation with the lastest USB drivers. Comments OS/2 CHL hardware testing team has tested this device successfully on eCS 1.1 and with IBM's latest base USB device drivers. Comments Being a hub is not a primary purpose of this device, but anyway it has a built-in hub which works fine. The built-in hub works fine (tried with mouse). General note: the monitor has two video inputs (that can be switched manually or automatically when the signal appears on one of the inputs) and the built-in hub has two inputs which can be switched together with monitor inputs. Thus if you have a USB keyboard and mouse you can have a convenient monitor/keyboard/mouse switch to work with two computers. Thanks to Lesha Bogdanow for this information. 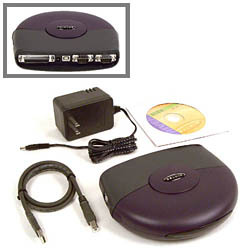 Comments This device was tested with IBM's latest basic USB device drivers and was approved by OS/2 CHL testing team. Last modified: 2004/08/30, 17:37 | This site is sponsored by Mensys B.V.